In her new column, Carlene Majorino examines hard news stories from the view of the average, coffee-fueled Temple student. As many of us have already seen, heard or experienced, Temple Towers residence hall underwent some major renovations during the summer. All in all, it sounds great: new furniture and appliances, granite counter tops, laminate and carpet flooring, renovated lounges, new sprinkler systems, a new heating system with climate control and new windows. 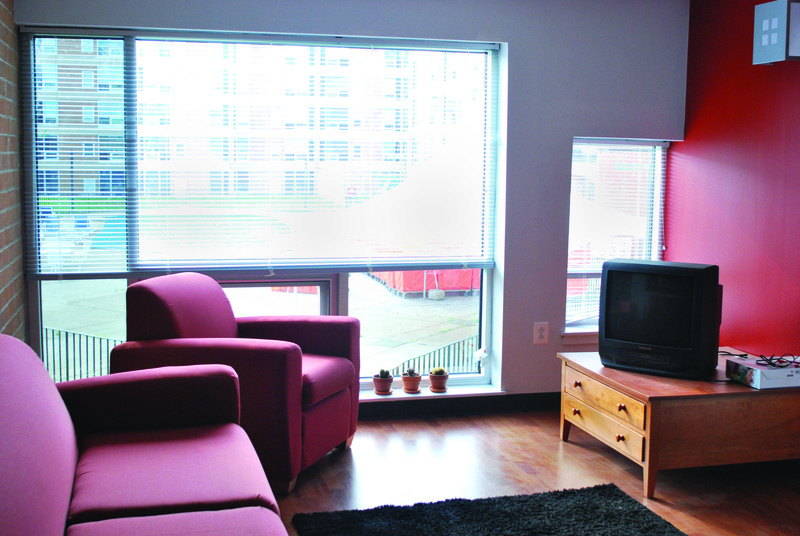 Those renovations are just what Temple Towers has needed for years – though students always love the idea of real, apartment-style campus housing, there’s always the dread of broken appliances, creaky hardwood floors and, most notoriously, rodents. But like all things good, there is a catch to this situation. Student Affairs, in the process, “reconfigured” certain apartments, changing them from two-, four- or six-person to eight-person dwellings. Any student would be somewhat unlucky to find himself with seven unknown roommates in his first-ever apartment. It would be tough for eight people to live in a three-story house. And in the case of an apartment – one that’s part of campus housing, especially – no matter how much space there is, it may not ever seem like enough. There might not even be eight kitchen cabinets to accommodate one for each roommate. And, as we all learn early into our college lives, it’s doubtful that any apartment will be inhabited with eight fun-loving roommates willing to share all their food. Another problem is the inevitable absence of quiet in an apartment with people constantly coming and going, showering, cooking and probably partying. If you’re the type of person who likes to come home from class and camp out alone for the rest of the night, having seven roommates may pose a problem. But my roommate liked to be alone. She rarely went out, spent a lot of time decorating her side of the room and kept in touch with her hometown friends religiously via Internet. By the end of the first semester, she was gone, and I had the room to myself. She didn’t leave Temple, though – she simply moved to another dorm where one of her closest friends was. To each his (or her) own. Of course, there are pros to any situation. Having seven roommates has its upsides. There’s the opportunity to make new friends and always have someone to hang out with. Although there will probably be stress over whether condiments are communal and if you bought the Jif or the Peter Pan, it eventually comes together in the end. You learn when the best time is to sneak a cookie from your strict roommate and which ones never notice anyway. When the monotony of the same classes and the same meals every day starts to hurt, having people to always talk to and be distracted by is definitely a good thing. And who knows – one of your roommates might be able to help you with your homework or get you in touch with the contacts you’re trying to make for an internship. Philadelphia is a great city because of the opportunities that come from the people who live here. Student Affairs made necessary improvements to Temple Towers – that’s no question. In fact, the only downside is the decision to implement eight-person apartments after students requested something else – and for some, realizing that having seven roommates to deal with instead of just two or three could put a serious damper on the first semester. But keeping a good attitude is the most important part because in an apartment with eight people, at least you’ll never run out of things to do. Increasing residence hall price tags will defeat goal of keeping student costs down. Awkward moments shape roommate friendships or simply create weird tensions.